Everything about a cat makes it endearing, although it is still a mystery how one could understand the cat’s actions and their meaning. As studies show, cats are more difficult to read compared to dogs that seem very transparent. You’d have to observe cats for long periods of time to see what they really want. If you’d really like to know more about what cats do and what they feel, you’d have to take into consideration everything they do in a given situation. From the cat head turning to the cat tail twitching, they will use parts of their body to convey what they feel and what they want. Studies also show that cats have an expressive tail. Taking this into account will surely help owners to understand the eccentricities of their pets. When a cat’s tail is straight up with a slight bend at the tip, it may mean that your cat feels confident to give you time for play. When your cat’s tail is straight up without the bend, you’d just need a gander at its ears to see if it’s also straight up. These are indications that your pet feline still feels confident around you but might also feel a bit unsure on how to move forward. When your cat does this particular action, you’d just have to bring out the toys to keep it company until it gets tired of you. Just watch out for any changes so you’ll know if it’s time to stop. When you see a cat sleeping with its tail curled beneath or near its body, it feels content and secured that it can sleep with you around. This may be the same situation when it’s awake and does a slow-moving tail flick from time to time. It likes being around you and it feels safe doing so. Do watch out for the tail if it speeds up in its swishing, then it means something else. Once you see your cat arching its back, with its fur and tail fluffed up, then it is a warning to anyone near it not to come closer. This is what it does to make itself look bigger than its opponents; something to scare them off. When your cat is showing these signs, make sure to back off and let it calm itself. This particular action is also telling you that it is ready to attack that one reason why it is angry. Be very cautious as soon as you see your cat doing so, or if you know the reason why it’s angry. Try your best to neutralize the threat to help your cat calm down. If your pet cat feels threatened, it will show the same signs. Another telltale sign is if the tail is in an upright position with an obvious curve. This means that your pet is feeling a bit aggressive and is telling you not to interact with it. If the tail is flicking while it is lowered, it almost means aggression but may also mean that it is going on the offensive. Another sign will be the tail making quick flicks, letting you know that your cat is annoyed and may increase its aggression. When the tail twitches especially if it’s held horizontally, your cat may be interested in something. Whatever the case may be, your cat’s next step will depend on what that particular interesting object or person will do. The cat tail twitching may mean your cat feels a bit uncertain what to do. But as long as nothing happens, your cat might just either decide to walk away or pounce on it. 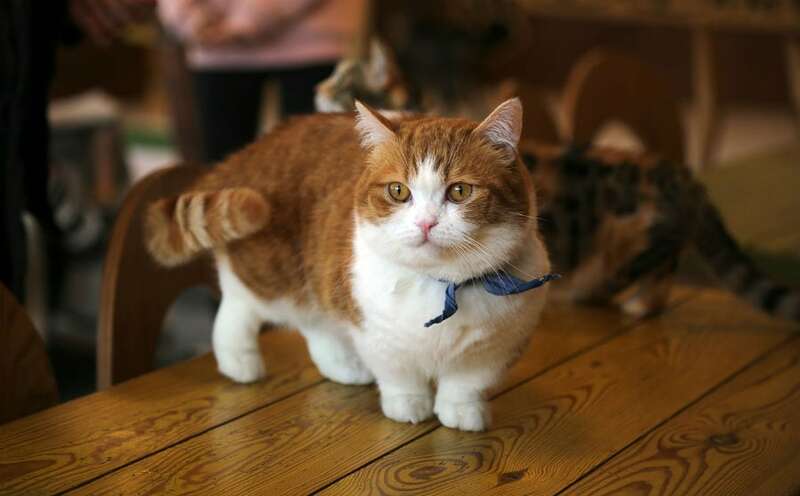 When your cat is afraid of something, it will go near you with its tail between the legs. It might be because it did something wrong or may really be afraid of something that is still near it. There are times that when your cat feels submissive towards you or another cat, it will exhibit the same response. Just be careful and watch your cat when it does this particular action. It might end up being scratched by the cat that it feels submissive to. Whenever you see your cat awake and its tail is curled beneath its body, then it is feeling nervous about something in its surroundings. Better to check if anything near it is causing the nervousness. This may also be the same when the cat’s tail is down and out. It might feel a bit nervous and cautious and can go either to aggression or submission. Once you realize the cause, make sure to neutralize the threat. When a cat feels a bit territorial with you or its surroundings, you’ll see it go against the wall with its tail upright and quivering a bit. This is a telltale sign that it will spray; a way for your cat to set limits to any cat who dares to go where it shouldn’t. This is your kitty’s way of saying to another cat, “He’s mine. Don’t come near him.” You should find the reasons why cats are marking the territory and should help solve the issue, if possible. Remember to not just look at how the tail moves or how it looks in general before approaching your cat. Check the ears, how the body is positioned, or even its vocalizations. Not all tail movements are voluntary as it is connected with other parts of the cat’s body. So be careful in looking out for the signs. It is important for you to at least have a basic understanding of what a cat may be trying to tell you. This is to avoid any untoward incident especially if you have kids. 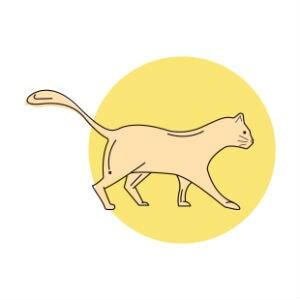 By recognizing the signs or what your cat’s tail actions mean, you are avoiding yourself and your loved ones being hurt unintentionally by your pet cat.